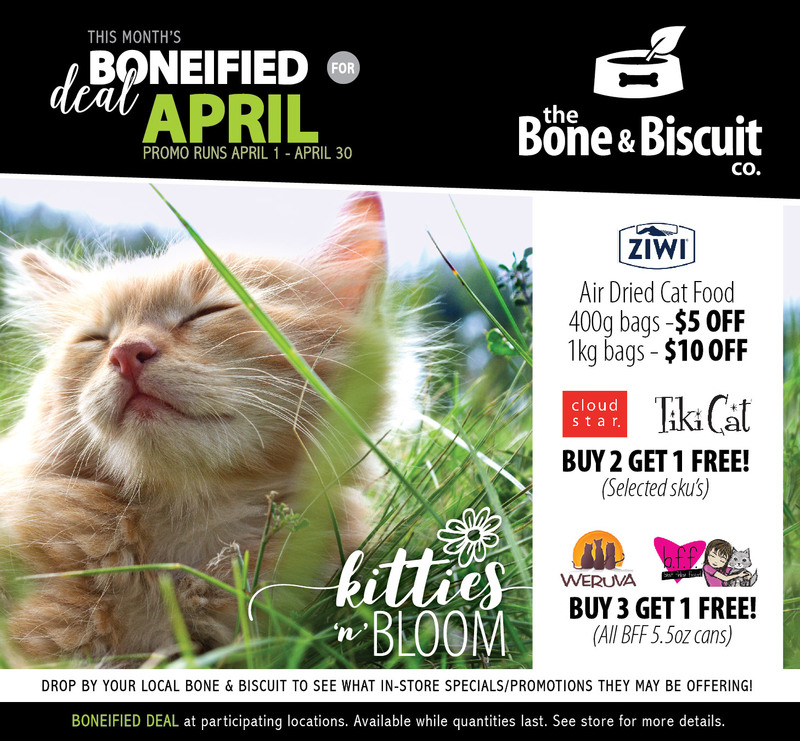 Pet Supply Store Cloverdale BC | Bone & Biscuit Co.
Cloverdale Bone & Biscuit carries many hard to find natural pet food brands such as Carnivora, Legacy, Pets Go Raw, irRAWistible, Nature’s Premium and Ruff Wear. They carry raw dog and cat foods for every budget and have many varieties of proteins specifically for allergy-prone pets. Also, a large selection of premium grain-free cat and dog dry foods from Acana, Merrick, Now Pet Foods are available. Are you looking for a way to celebrate your dog’s birthday? Come in today and checkout our selection of dog bakery items including birthday cakes for dogs!